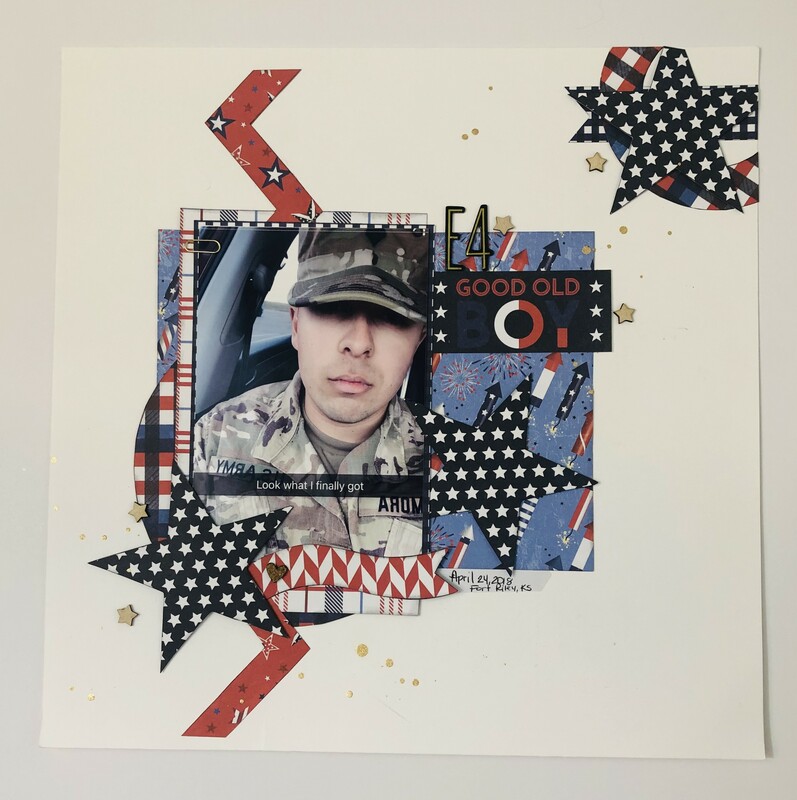 Recently while searching online to find Military Layouts Designed using our Designer Template Sets we came across a page that grabbed our attention from one of our Kiwi Lane Instructors Beatriz Santana. Beatriz is from Roselle, NJ. 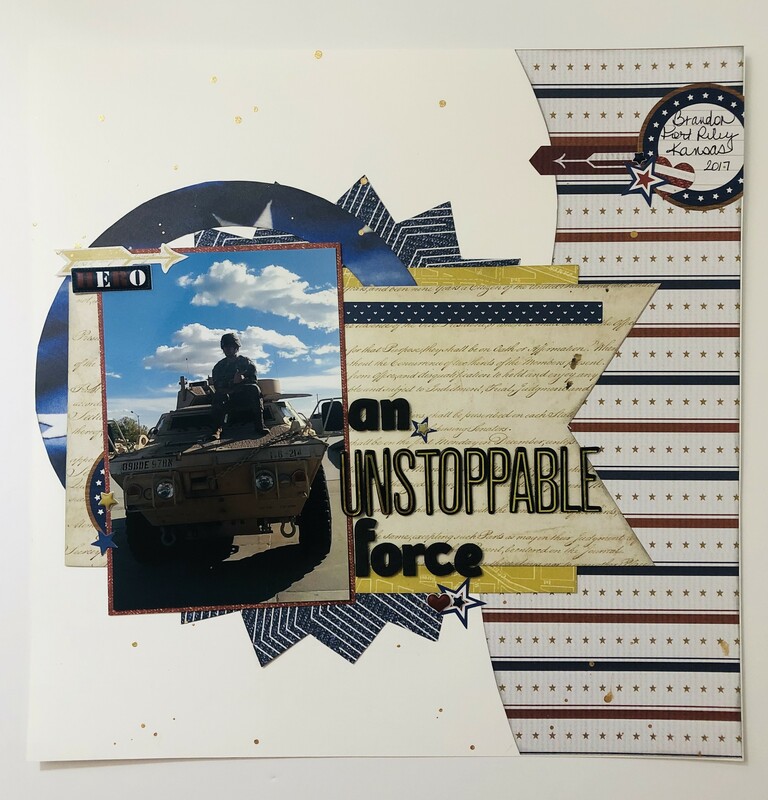 and she created the following 1-page layouts featuring her son Brandon who is now an Honorable Discharged Veteran after sustaining an injury while on deployment to the middle east. All of us here at Kiwi Lane would like to thank him for his service to our Country. Beatriz with her husband, son Brandon & two other children. Communication while my son was deployed was pretty tough. Wifi was sketchy, his daytime was our night time, it was just rough. Sometimes I would wake up to a text message saying he was good. But the best were the photos we would randomly receive. These photos would put my mind at ease and bring a smile to my face. He was so exited to show me that he finally received his promotion to Specialist. 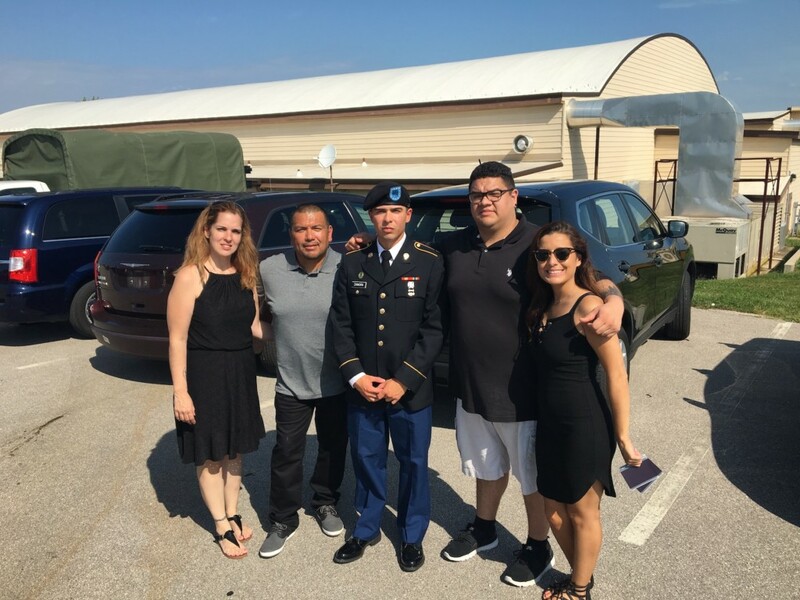 It was a bitter sweet moment because at this point he knew this would be the last promotion he would receive as an Enlisted Soldier. Even though it was about 120 degrees they still had to go to the range. 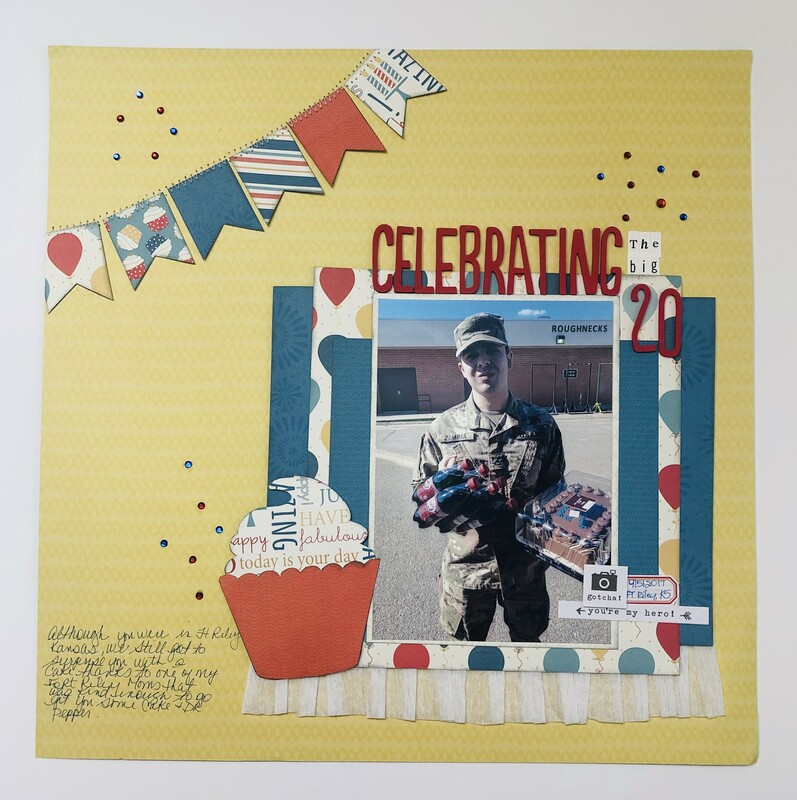 Thanks to the kindness of a military mom that was on base visiting her soldier, I was able to have a cake and Dr. Pepper delivered to him for his birthday. This Military Mom was so kind she even face-timed me when she delivered it. 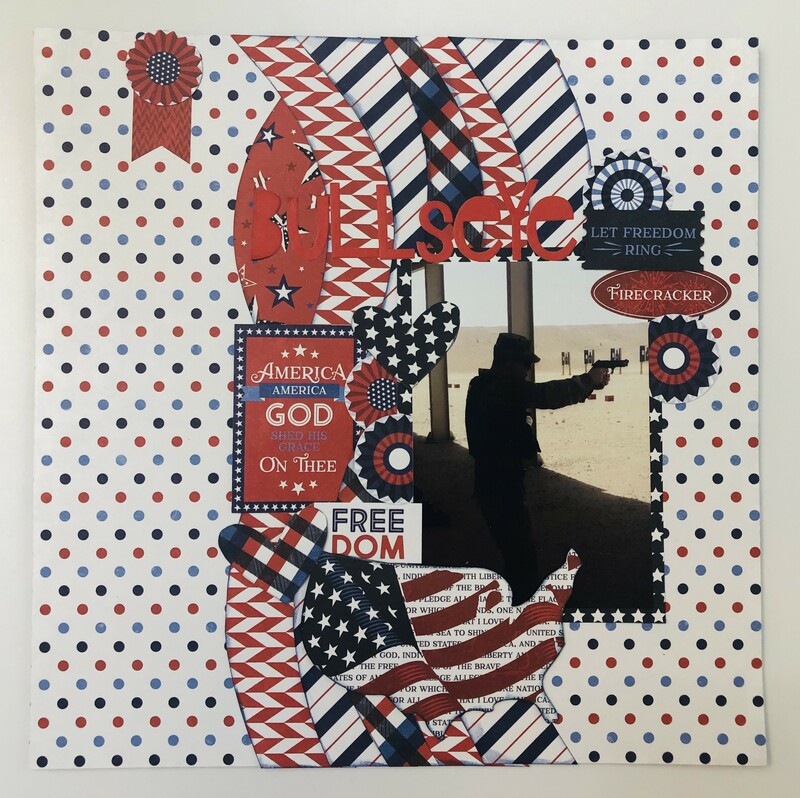 This picture was taken shortly after he returned from Kuwait. Due to his injury and everything he was going through because of it, I felt that the title was very fitting. 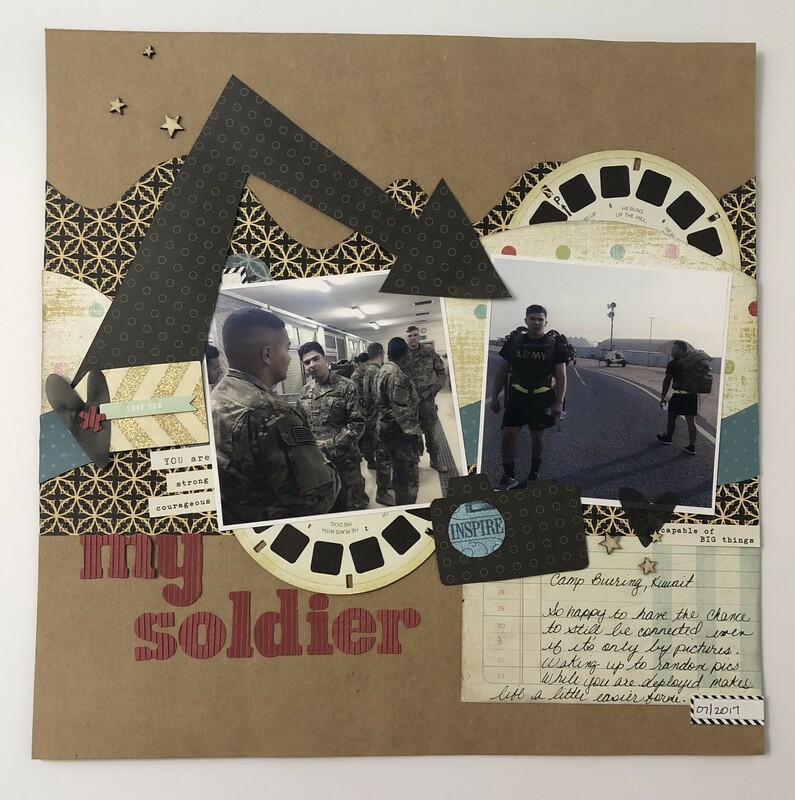 We were so happy we came across one of Beatriz’s layouts and that she was willing to share a few more with us so that they could inspire you. 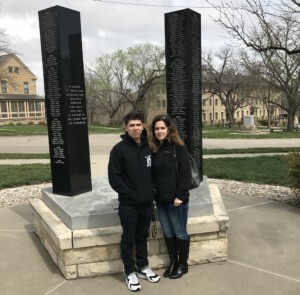 Coming from a Military family, seeing these photos and reading the short stories behind them really touched me. I’m so Thankful for all of our Men & Women in Uniform who serve and protect our great country! Do you have Military Layouts you’d like to share with us? We’d love to see them. Feel free to post them on our Play-To-Create With Kiwi Lane Facebook Group! You never know when we may feature you! !